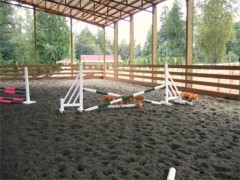 Rubber chips provide a modern, cushioned surface in your arena to relieve stress on horse joints. 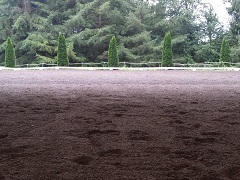 Spreading a layer of rubber chips on your arena surface improves drainage, performance, and comfort while reducing dust, compaction, and fatigue. 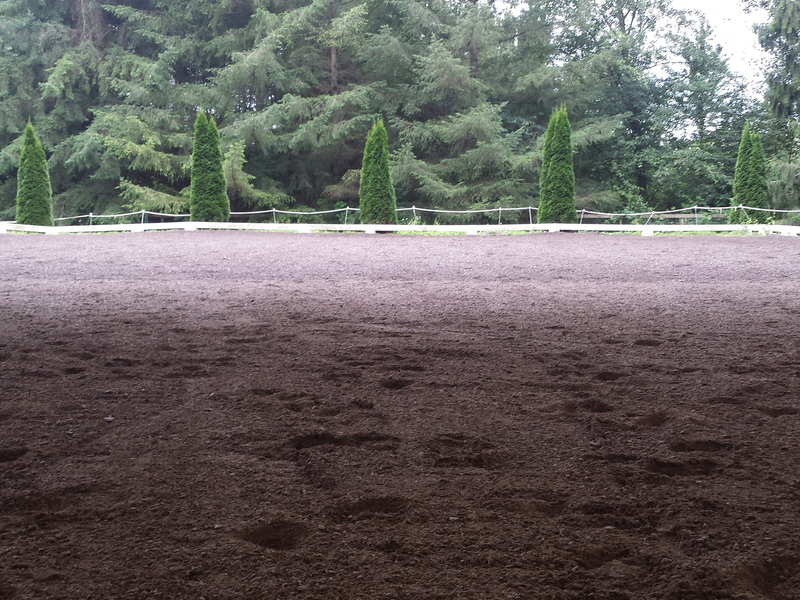 Rubber chips offer more cushion than hard-packed arena surfaces which reduces compression stress on equine leg joints. Rubber granules resist compaction better than sand or dirt. Our arena surface products are made from 100% recycled scrap tires. We magnetically remove at least 99.9% of the metal contained in scrap tires in order to protect your animals' feet. Rubber is very durable and offers a long service life. Rubber chips increase soil porosity, enabling water to better penetrate the soil. Many of the chips contain embedded cord, such as nylon, rayon, or polyester, which absorb moisture when watered. This moisture rentention promotes dust control in your arena, while reducing the frequency of watering. A depth of one or two inches of rubber chips is all that is required to provide you with noticeable benefits. 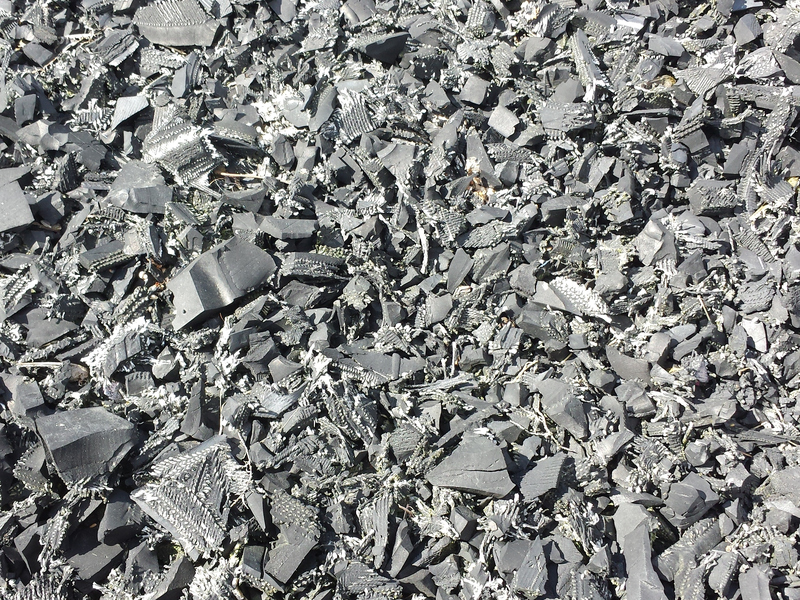 Deeper layers of rubber chips provide negligible benefits. Use the following chart to calculate the amount of material you require. Several sizes of rubber granules are available. There are 2,200 lbs in a Bag. The 1/4" and 1/2" have fiber/textile in the product for moisture absorbtion. The 3/8" tread granules have little to none. We also have some material available with additional fiber/textile content. 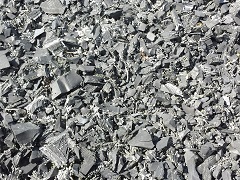 Rubber chips are typically delivered on a semi-trailer. Be sure you have space to unload a 75' long semi. You will also need to arrange for a forklift or other capable equipment for unloading.